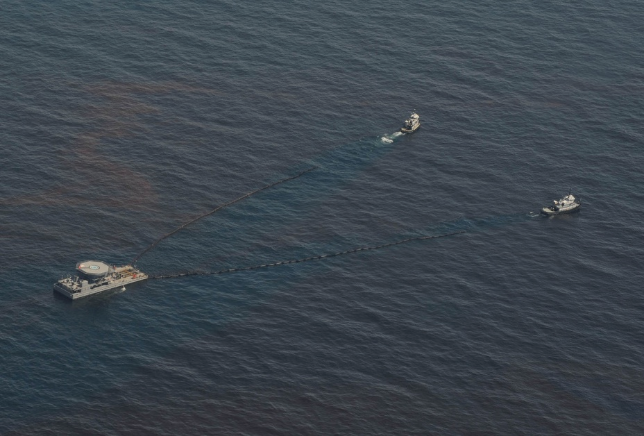 The two types of dispersants BP is spraying in the Gulf are banned for use on oil spills in the U.K. As EPA-approved products, BP has been using them in greater quantities than dispersants have ever been used in the history of US oil spills. BP is using two products from a line of dispersants called Corexit, which EPA data appears to show is more toxic and less effective on South Louisiana crude than other available dispersants, according to Greenwire. We learned about the U.K. ban from a mention on the New York Times' website. (The reference was cut from later versions of the article, so we can't link to the Times, but we found the piece elsewhere.) The Times flagged a letter Rep. Edward Markey, Chairman of the House Subcommittee on Energy and Environment, sent to the EPA yesterday. 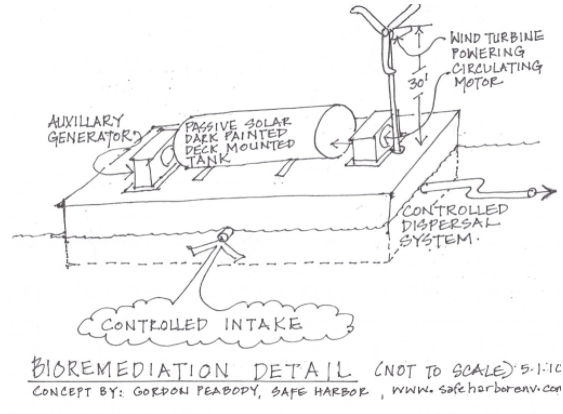 The letter pointed out that both the Corexit products currently being used in the Gulf were removed from a list of approved treatments for oil spills in the UK more than a decade ago. 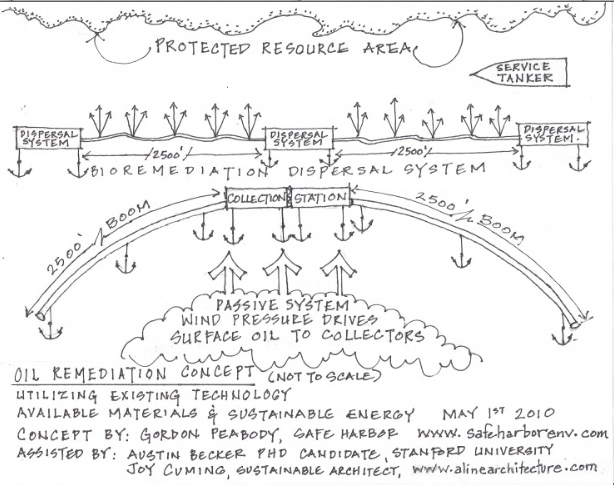 Gordon Peabody of Safe Harbor and Congressman Markeywere interviewed live, along with a Florida island Mayor, on the Emily Rooney Show regarding the spill. Click on the link below. The interview begins with Congressman Markey, goes to the Mayor and then to Gordon about 1/4 of the way through the download. The second half of her show has a different topic. 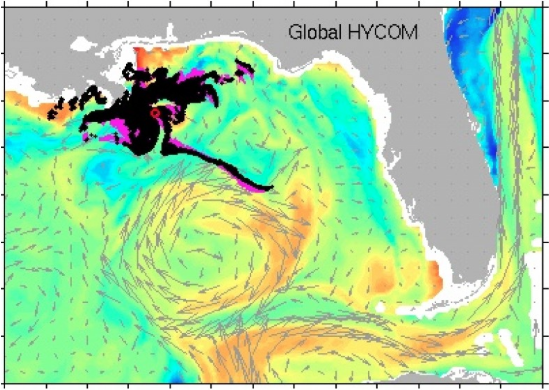 There's a shocking amount of oil in the deep water, relative to what you see in the surface water, said Samantha Joye, a researcher at the University of Georgia who is involved in one of the first scientific missions to gather details about what is happening in the gulf. 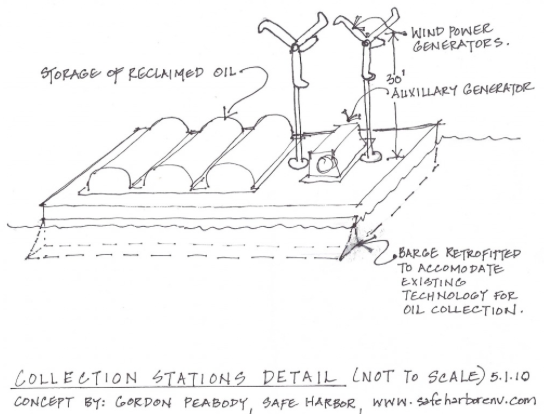 There's a tremendous amount of oil in multiple layers, three or four or five layers deep in the water column. Dr. Joye said the oxygen had already dropped 30 (Italics by Safe Harbor) percent near some of the plumes in the month that the broken oil well had been flowing. If you keep those kinds of rates up, you could draw the oxygen down to very low levels that are dangerous to animals in a couple of months, she said Saturday. That is alarming. Crews using the deep-sea robot attempted to thin the oil â€” which is rushing up from the seabed at a pace of about 210,000 gallons per day after getting approval from the Environmental Protection Agency, BP PLC officials said. 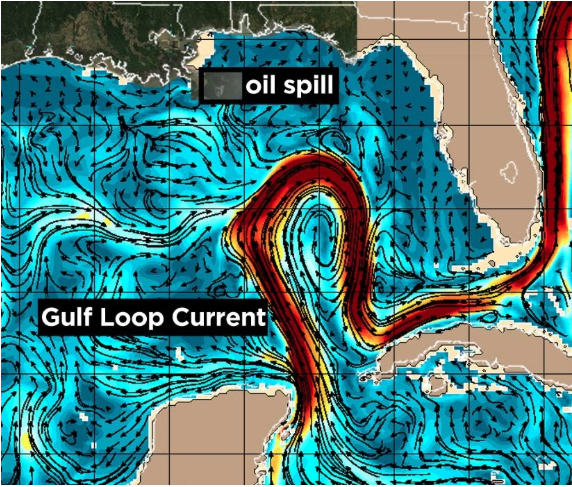 Check this satellite generated linkfor excellent integrated, animated trajectory prediction between the spill shield and the Gulf Stream Loop Current. Coast Guard contacted us, suggesting our concept was under consideration and being forwarded to Horizon response center at unified command. 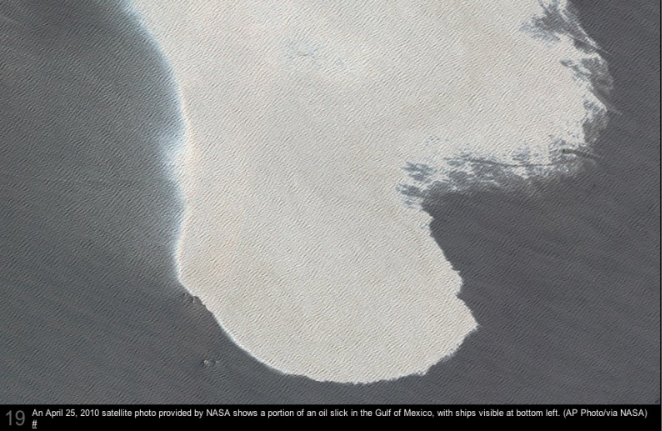 The amount of oil collected to this point may be equivalent to between one and two day's discharge. 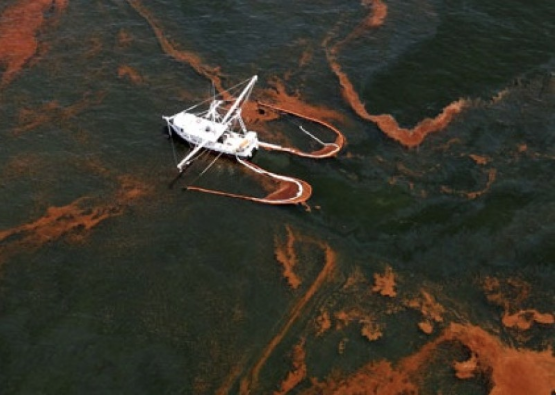 Rick Loomis, Los Angeles Times BP officials Tuesday told congressional representatives that the Gulf of Mexico oil spill could grow at a rate more than 10 times current estimates in a worst-case scenario greatly enlarging the potential scope of the disaster. A source who attended the meeting said that the companies' representatives had a "deer in headlights" look and that the tenor of the conversation was that the firms "are attempting to solve a problem which they have never had to solve before at this depth at this scope of disaster. They essentially said as much." More than 400 species of wildlife, including whales and dolphins, face a dire threat from the spill, along with Louisiana's barrier islands and marshlands. In the national refuges most at risk, about 34,000 birds have been counted, including gulls, pelicans, roseate spoonbills, egrets, shore birds, terns and blue herons. To address potential wildlife impacts, BP has contracted with Tri-State Bird and Rescue. If oiled or injured wildlife is spotted, people are urged not to attempt to help the animals but to report them to (800) 557-1401.